For more than 20 years, June Hunt has given sound counsel and scriptural insights to thousands of hurting people through her popular live radio call-in program "Hope in the Night". In this book, June brings together nearly 40 common, urgent problems people struggle with. Each short, to-the-point chapter offers heartfelt encouragement, straight talk, and "how to" steps to begin the journey to victory on serious issues such as... difficult relationships; anger, depression, and guilt; temptation and compulsive behaviors; loneliness, self-worth, and grief; and, forgiveness and reconciliation. 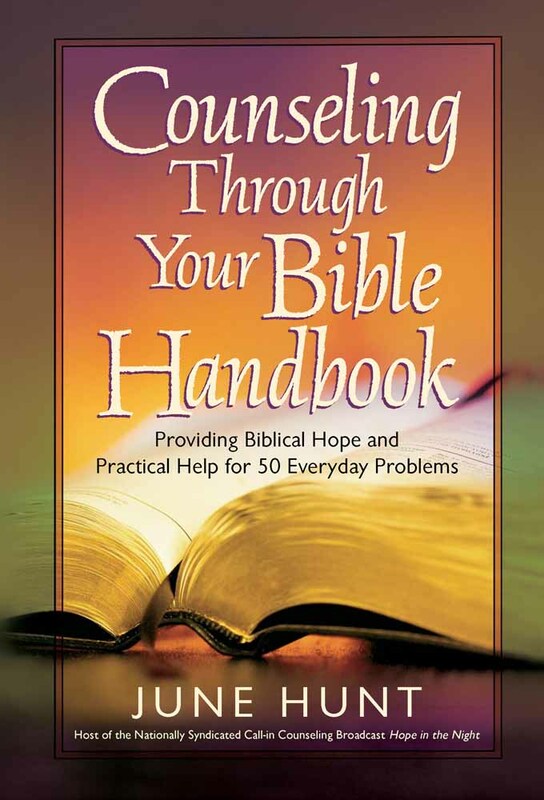 Christian readers and lay counselors who are looking for a handbook that covers a wide variety of issues will appreciate June's compassionate and realistic solutions firmly based on God's Word. This versatile resource repeatedly affirms that Jesus Christ truly is the answer to every human need. 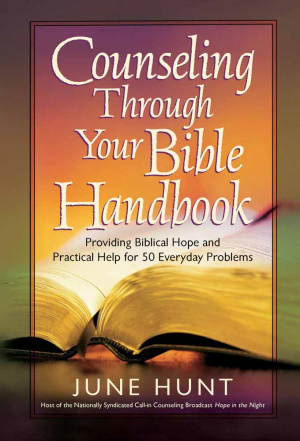 Counselling Through Your Bible by June Hunt was published by Harvest House in March 2008 and is our 23745th best seller. The ISBN for Counselling Through Your Bible is 9780736921817. Be the first to review Counselling Through Your Bible! Got a question? No problem! Just click here to ask us about Counselling Through Your Bible.